Well it’s not been a bad year overall. 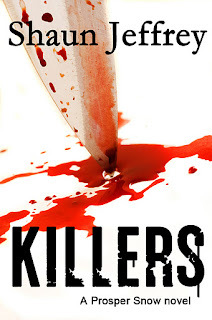 I've had two novels published, Fangtooth and the second book in the Prosper Snow series, Killers. My short story collection, Voyeurs of Death was republished with the added bonus of extra stories and I also had a couple of short stories published, one in Holiday of the Dead and another in 13: Tales of Dark Fiction. On top of that I was promoted at work. As far as sales are concerned they are not as impressive as some peoples, but they are probably better than others. For the year across the whole of my books I sold 1726 copies via Amazon, 326 copies via Smashwords and just over 500 sales from other retailers, such as Barnes and Kobo (this doesn’t include those sold by Dark Regions Press as I haven’t had a sales report from them yet) for a grand total of around 2552 sales for the year. I’m now working on a new novella, which I hope to finish the first draft of in another week or so. Then I’ll start work on another novella that I had put aside for a while, which will keep me busy into the start of the New Year. Now I want to say a big thank you to those who have read my work over the year. And an even bigger thank you if you reviewed it, regardless of whether the review was favourable or not. There have also been a number of people who have helped me promote my work this year, and they get an even bigger thank you. Now I’m all thanked out, so I hope everyone has a fantastic Christmas and an even better New Year. 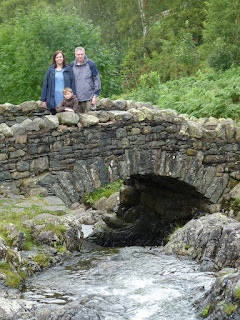 We arrived home yesterday after a short break in Keswick in the Lake District. No matter how many times I visit the area, it never fails to fill me with awe with its sweeping vistas and majestic mountains. We’ve camped on the same site a couple of times before, at the edge of Derwentwater (the location of the site means that it can easily flood, but we were lucky enough that it only rained for one day during our stay otherwise the resident ducks would have been swimming around the tent instead of waddling.) We were also field-testing (quite literally) our new tent, an Outwell Colorado 5. I think we now have five tents stashed around the house, but this is by far the best of the bunch. It’s big enough to stand up in, and has a large sitting area. During our stay, we met up with my brother who is fortunate enough to live just outside Keswick in the village of Borrowdale. He’s lived there for a number of years, and I often wonder if he knows how lucky he is to live in such breathtaking surrounds. Anyway while there we tackled Helvellyn, which is the third highest peak in England at 3118 feet (only 75 feet less than the highest, Scafell Pike). It took us around 2 hours to climb to the summit, a feat that some people achieve by running, but they are obviously part machine or just plain crazy. The stunning view at the top makes the effort of the climb seem more than worthwhile, but my aching calves and thighs might not agree. 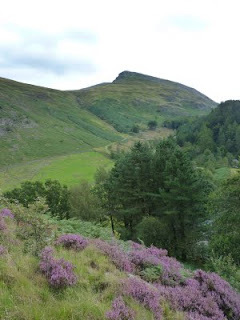 While visiting the Lakes, we also went in search of a couple of Geocaches, which we haven’t done for a while, taking in a route along Walla Crag. 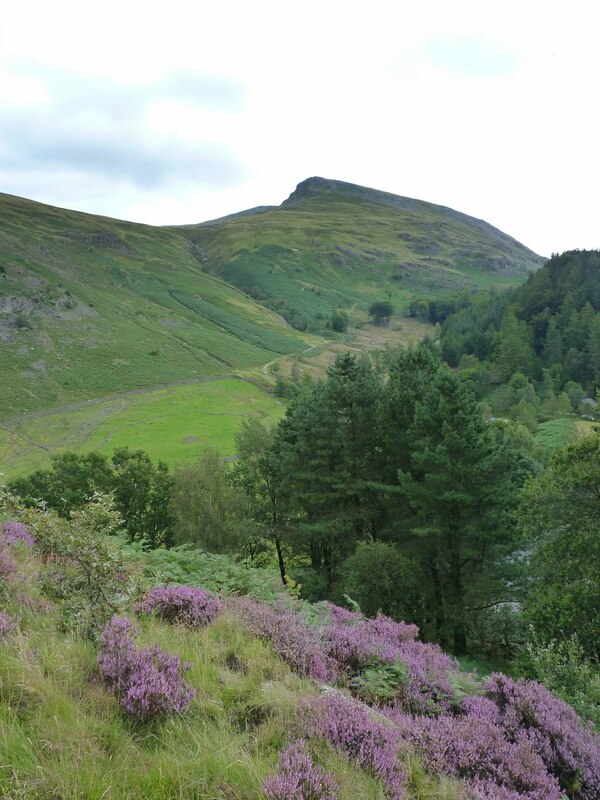 This is a short fell walk that gives superb views across Derwentwater. The only problem on the day we went was that the heavens opened and we ended up putting drowned rats to shame. Coupled with a cold wind, it makes you realise how unpredictable and dangerous the weather can be, especially when you’re caught out in the open. But it’s no wonder the landscape has been the inspiration for countless artists and writers over the years. Majestic, stunning and awe inspiring. That’s the only way to sum it up. The very short story below was originally published in a magazine called Premonitions back in 1992, and I just thought I'd put it up here for anyone interested in my early work to have a read ( I made a couple of changes to update it, such as changing videos to DVDs). The television screen flickered through myriad images that painted the walls of the living room in rainbow patterns. Tara Stone reclined in the armchair, unblinking as she stared at the screen. Each picture merged with the next in a succession of subliminal images. The tribal drumbeats that accompanied the images made her heart beat fast, made her unaware of anything but the here and now. Seconds later, the phantasmagoria of images came to a stop and the screen turned white with static. Tara blinked and wiped her eyes. She felt as though she was waking from a dream. She stood up and turned the television off. Then she removed the disc from the DVD player and returned it to its case. She walked through to the kitchen and stared at the box of matches on the table. Without hesitating, she snatched the box up, removed a match and struck it. The flame flared and she stared at it for a moment, and then blew it out. The wind howled outside, so she plucked a coat from the hook behind the door, dropped the matches into her pocket and left the house. The sky was clear of clouds, and the setting sun painted an orange band across the horizon. Inhaling the crisp air, she headed toward the town centre. The box of matches rattled in her pocket with each step. Up ahead the illuminated windows of a tower block formed a giant crossword puzzle grid. When she reached the base of the tower, she wandered around until she found a door into the service bay. The lock was broken, the walls either side of the entrance daubed with the modern day hieroglyphics of graffiti artists. Once inside the building, she waited until her eyes grew accustomed to the lack of light. Shapes materialised from the darkness: old electrical appliances skulked in the corner, opposite which a pile of old newspapers had been stacked in a haphazard mountain. Tins of paint sat atop the electrical appliances, and she walked across and inspected them. As well as the paint, she found a half-full tub of white spirits and a rusty screwdriver. She couldn't have wished for more. Smiling to herself, Tara prised the lids off the paint, and sloshed the contents over the mountain of paper. When that was done, she poured the white spirits over the pile and then took the matches out of her pocket. She had a momentary flicker of doubt, but then she looked at the multicoloured rivers of paint that flowed over the paper and it triggered something in her subconscious. She struck a match, marvelled at the flame for a moment, and then flung it onto the paper. She continued to throw burning matches until the paper mountain was ablaze, the rivers of paint bubbling like molten lava. The heat warmed her cheeks, and when it became unbearable she retreated outside and walked a safe distance away. 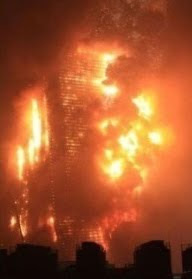 It didn't take long before tongues of flame licked out of the doorway, and it wasn't much longer until the flames began to devour the lower floors. People appeared at windows, screaming, their clothes and hair alight. Glass exploded as people jumped in an attempt to save themselves. Tara watched from further along the road, mesmerised by the flames pirouetting around the structure, painting the sky in ribbons of fire. It was only the sound of approaching sirens that broke the spell. With a final look at her handiwork, she stood up and made her way home. Once inside her house, she looked out of the window and watched the flames light up the horizon like a living painting. It looked marvellous. She glimpsed at the disc she had played earlier and read the title: Fire and how to beat the phobia. A self help guide. Tara smiled to herself and wondered which of her many phobias she should overcome next.